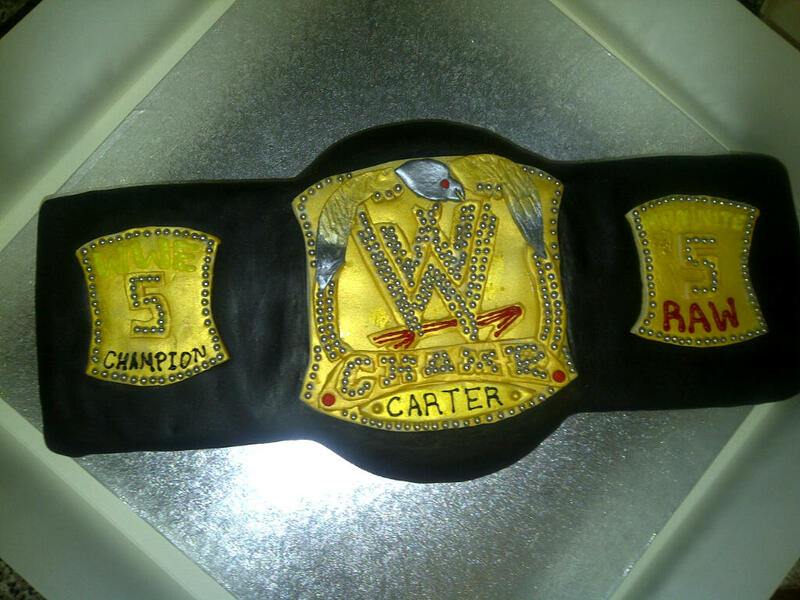 I was asked by a co-worker to do a WWE themed cake for her son's 5th birthday. I thought instead of a wrestling ring cake I would set myself a little challenge and attempt a WWE belt cake. More photos of it are on the facebook page.